On a recent episode of the tastytrade podcast “Connect the Dots,” Dr. Anne Malec visited the studio to explain financial therapy. As a leading financial therapist, Dr. Malec offers a wealth of information to listeners about what financial therapy can offer them. As Dr. Malec explains in the podcast, financial therapy is the unpacking of thoughts, behaviors, and emotions that can lead to poor financial choices through the use of a professional therapist. As a financial therapist herself, Dr. Malec sees both individuals and couples about financial issues often, focusing on helping them learn to live within their means. When it comes to couples therapy, she focuses on helping them learn how to communicate about money. One topic Dr. Malec discusses on the podcast is financial infidelity and control within relationships. Financial infidelity is a common but not-often discussed issue in many relationships in which one partner hides money and/or spending behavior from the other. Financial control refers to behavior by one partner who is trying to strictly control the spending of the other, often leading to financial infidelity. In the podcast, Dr. Malec discusses how to be proactive about preventing these issues in a relationship by talking about spending, saving, and debt before it gets very serious. In addition to discussing the financial issues of couples, Dr. Malec also discusses the issues that she sees often in individual financial therapy. Issues with overspending and the pressure to keep up socially often come up, and the feelings of stress that come with a life without a budget. Often, she helps them explore reasons why they are prioritizing the wrong things with their money, and how they can conquer these issues. 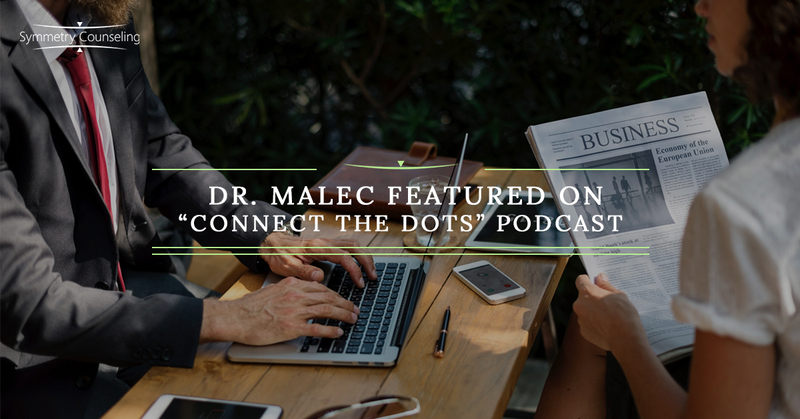 Ready to hear the rest of the advice Dr. Malec had to offer on the podcast? Listen here to receive Dr. Malec’s overview. If you need a psychologist in Chicago to help you with financial therapy, it’s time to visit Symmetry Counseling. Contact us today to schedule an appointment!